Looking to give your ride a personal touch? If you’re interested in customizing your vehicle’s look, come visit us at Mike the Knife Stripes in Pearl River, LA. We offer quick and trendy solutions to help boost your ride’s appeal. Choose from our custom auto graphics, lettering, and striping services to transform your vehicle’s look the way you want it. Whether you own a car, truck, or a boat, we have you covered! Why Get Auto Graphics From Us? What’s a more effective way to promote your brand than to drive around town in a ride that carries your business name? Transform your vehicle into an advertisement on wheels with the custom auto graphics and lettering services of Mike the Knife Stripes! We can design and install attention-grabbing graphics and letters on your cars and trucks to help endorse your business and services. Call today for more details! Make your ride look as unique as you! Team up with the auto graphics, lettering, and striping experts at Mike the Knife Stripes to personalize your vehicle’s look. Browse through our website today for a quick overview of our services and work. We look forward to serving you! 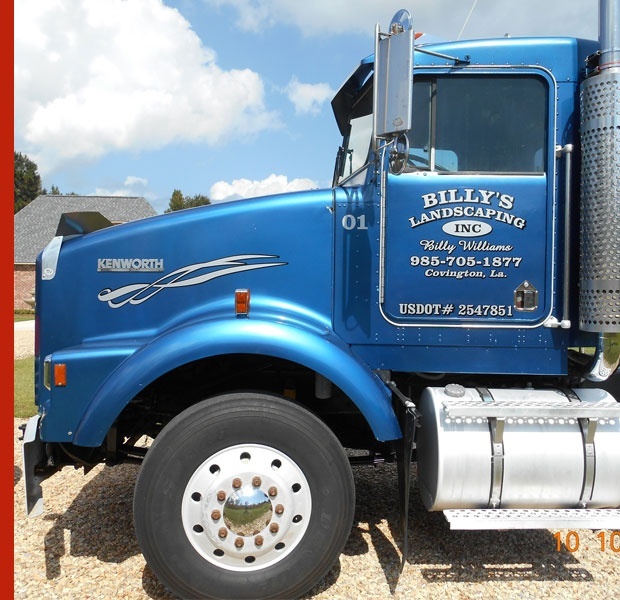 We serve Pearl River, LA, Southeast Louisiana, and Southern Mississippi.